We currently have no money for repairs, and so I’ve set up a Go Fund Me page with a goal of $6,000. 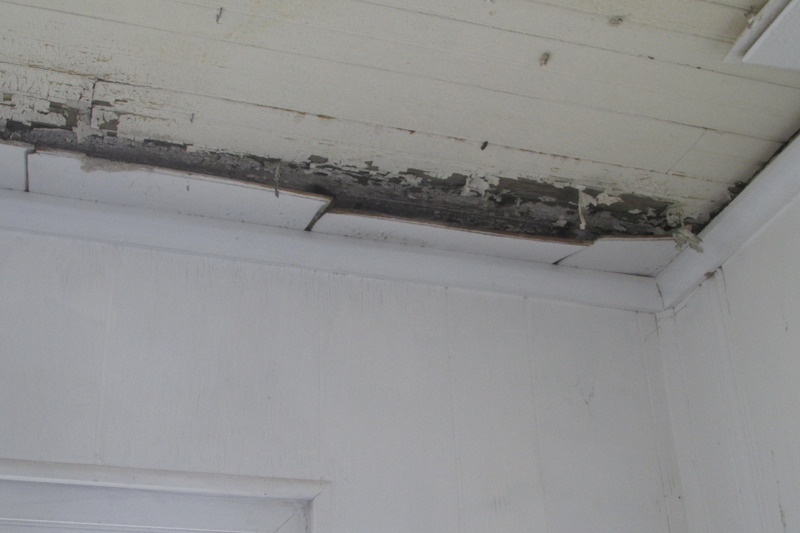 Whether we can pay for a new roof will determine whether I can continue writing and running the blog full-time. We need to raise the money for this ASAP, as the damage is getting worse. We hope to replace the roof this winter. Dude, from a fellow father and provider and spiritual seeker, writer and blogger, I am going to ‘Bro’ you right now with some bro love and support, but let me not pull any punches and talk to you like a 5D spiritual man. 🙂 Bro: you are ALWAYS in charge. Everything you are experiencing is an effect of something you have created in order to experience whatever it is you are experiencing right now in this timeline. What is the source of that anxiety?!! Dig what lesson do you need to be taught by having your house literally coming down all around you?!!! It’s priceless the abundance of lessons you are getting right now, I love it! OWN these experiences, you caused them, now you must uncover WHY you did so. Ground, brother and come back to CENTER. You make the choice of the reality you manifest in each and every *present* moment. You literally have an infinity of options at your feet right now, I can see it all from my outside perspective. Step into a timeline that serves you, and take care of yourself first and your beautiful family, and then worry about us once you have grounded. If you need to switch to a timeline that includes a day job it likely means you are needed in that capacity somewhere. Side note, change the subscription to $1.11 or $2.22 /mo and target an audience of a million users. I totally agree with arborea.m. Except that the number for finances/wealth is #8. So you would ask for $8.88, then use the law of attraction (State what you want, Give Gratitude, Expect it to happen, and ALLOW it to happen. Typically, materalism takes about 3 days to manifest. The Universe gives you what you FOCUS on with EMOTION. The Universe can’t tell the difference between positive and negative so always focus on what you want. That said it, it seems you’ve let the problem go on too long. There is definitely wood rot under there. Better find a lot more money. Good luck to you and your family.